Before I get into my new ways, let me give you a brief history of how I used to pack, along with its pros and cons. Old Nicole, who would travel by plane say, three or four times a year, would start by choosing a suitcase—stolen from my parents, the size of which was dependent on duration of the trip—and fill it with any climate-appropriate item in my closet that I liked at the time. Favourite shoes, tops, jackets, dresses, jeans—they all went in. [Sidenote: As a shopping-obsessed editor, one truly can’t imagine the quantity of things I acquire, nor do they want to.] Anyway, this highly irrational and purely emotional selection of clothing and accessories would happen without a care in the world in regards to if there would be an occasion to wear an item on said trip, if I had even included the proper pieces to coordinate with it for a complete outfit, or if it was excessive. Pros of this “system” were that it was easier on the brain, was fast(er), and left me with a variety of choices—because you can never have enough options, right? Wrong. You can have too many options, and the problems only start there. Actually, they started at the airport bag drop, when a good 70% of the time, my suitcase would be overweight or close to it. Thankfully, I always had a weekend-type bag to put some things in (which I’d then have to carry) in the event I had to take stuff out of my suitcase, or could transfer to a friend’s lighter luggage. Neither solutions were fun or recommended. Once we’d made it to our destination airport, there was then the dreaded fear that came as I’d anxiously wait for my luggage to come down the carousel. What if my bag gets lost? Literally, every item I own and like is in there. The purses! The shoes! I wouldn’t even know where to start with replacing things! Could I even remember every individual item I packed if I had to fill out a claim form? Probably not. Oh god. And lastly, there was trip itself, and the further realisation that my system was fatally flawed in that I’d then have to spend my precious vacation time sifting through a mass quantity of things, trying to make an outfit work on multiple occasions throughout each day. Nevertheless, I did this all my life because at the end of it, in the often long time between trips, all these cons would become but distant memories, and by the time I had to pack again, I had no reason (that I could remember) not to repeat my old ways. However, over the past year, I’ve found myself travelling more frequently thanks to an LDR (if you know, you know), and my faulty system became harder to forget when trips to the airport were but a few short weeks apart. 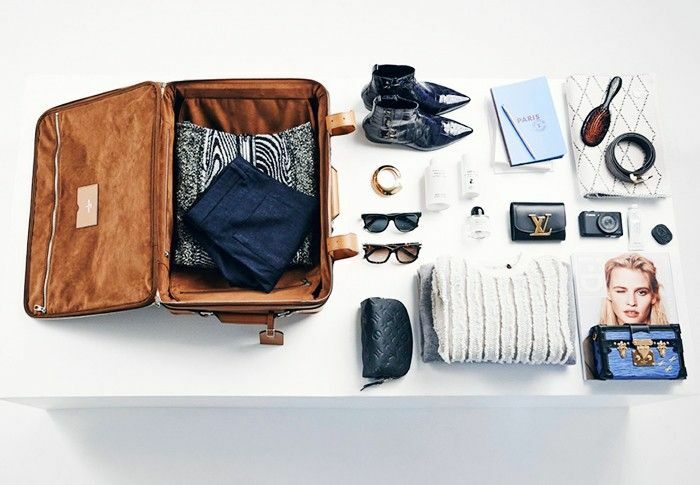 This is what finally pushed me to start packing like an adult. What did that mean exactly? Planning outfits, and doing so strategically. Not only do I pick an outfit for every event or occasion of my upcoming trip, but once I’ve done that and everything is laid out, I see what items can be used across multiple looks and cut out the things I could replace. So where I used to take four pairs of jeans for a one-week trip, I can now get away with one or two because I’ve taken the time to check that the one I’m bringing goes well with my selection of tops. Similarly, rather than packing my six favourite pairs of shoes and four favourite handbags, I take a few minutes to see which ones actually match my outfits and which I don’t need. This has allowed me to cut down my packing so significantly that I can now go on one-week (or more) trips with just a carry-on—where I used to stuff a large suitcase to the point of being over the airline’s weight limit. In short, what I once deemed unworthy of my time has actually saved me just that, but on the part that matters: the actual trip. I no longer deal with overweight suitcases or spend too many hours getting dressed while I’m on vacation. Instead, I travel light and comfortably, and all my thinking about clothes stops when I’ve zipped up my suitcase at home. Continue to shop a few of my favorite travel outfits! 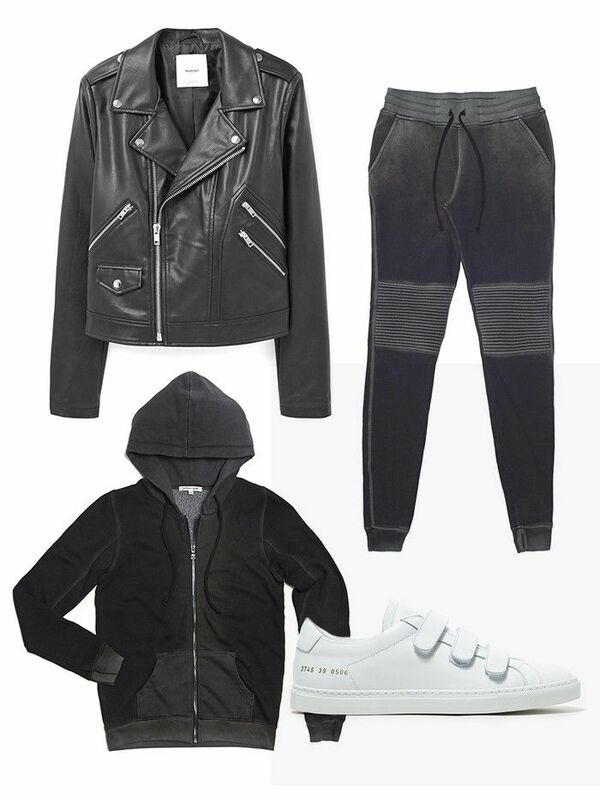 Shop: Mango Zipped Biker Jacket (£50); Cotton Citizen Zip Hoodie Vintage Black (£128) and Biker Trousers Vintage Black (£128); Woman by Common Projects Achilles Three Strap in White (£310). Shop: Who What Wear Sleeveless Midi Shirt Dress (£24); Prism Venice Cat-Eye Acetate Sunglasses (£128); Raquel Allegra Distressed Merino Wool and Cashmere-Blend Cardigan (£206); Ancient Greek Sandals Antigone Lace-Up Suede Sandals (£155). Shop: Topshop Quilted Bomber Jacket (£30); Zara Relaxed Fit Mid-Rise Jeans (£30); Totême Duba Modal and Cotton-Blend Jersey T-Shirt; Gucci Horsebit-Detailed Leather Loafers (£490). Do you have any travel tips, tricks, or questions? Share them in the comments.